The Women Empowering Leadership certificate program consists of three 6-week courses taught twice a week. Participants can register for the program in Spanish or English. The curriculum focuses on leadership training (public speaking, decision-making, and personality test) and women's history past, present, and defining the future identity. Visiting professionals join the courses to create a mentoring network for participants. The participants develop a group project to impact positive social change. The Latino Leadership Institute shapes Colorado’s future by preparing Latino leaders for the highest levels of influence in government, business, philanthropy and non-profit work. Institute fellows receive personal assessments and instruction in business, government, civic, and non-profit work. Participants receive personal assessments and instruction on public speaking, ethics, negotiating, and time management. Participants also benefit from instruction on how to build and grow their personal wealth. The Latino Leadership Initiative (LLI) is a national center of excellence that helps participating companies recruit, develop and retain high-performance Latino executives who will drive business growth and create a sustainable competitive advantage for their companies. The goal of the Latino Talent Initiative is to equip young Latino professionals with the skills, resources, and confidence needed to become leaders at work and in their own communities while building a professional network with the fastest growing business segment in the nation. The eight-session comprehensive program consists of an orientation focused on self-discovery and four main topic areas: cultural awareness, professional development, leadership 101 and civic engagement. The mission of the Latino Leadership Alliance is to empower Latino civic leadership by identifying, developing, and supporting emerging leaders through innovative leadership education programs. The Leadership Academy provides participants with the tools to become a valuable community asset and assume positions of responsible leadership in the Latino community and the Silicon Valley by providing monthly seminars presented by faculty of business, education, political, and community/non-profit leaders from the Alliance and Stanford University. The Leadership Academy culminates in a 3-day residency leadership training program on-campus at Stanford University featuring advanced leadership and education workshops prepared and presented by distinguished faculty from Stanford University. Program participants are housed on-campus at Stanford University for the 3-day event, which provides a unique environment for learning and collaboration between and among Academy fellows and Stanford’s world-class faculty. To empower Latinos and other minorities by increasing their participation in the democratic process by training, organizing ad mobilizing leaders into an agenda that reflects their aspirations and values. Participants skills are developed in organizing, governance, campaign skills, ethics, and accountability. Latino history and ideology are provided as a foundation. The Hispanic Leadership Institute offers participants the opportunity to engage Arizona’s foremost business and policy authorities in a continuing dialogue about leadership and Latino issues. The Institute enhances participants’ understanding of the role culture plays in a variety of circumstances, with specific attention to the enduring influence of Latinos in Arizona. Sessions focus on ethics, cultural and personal identity, leadership self-assessment, community issues, public and media relations skills, board/commission service, and meeting protocols among other topics. Each location customizes their programs to meet the needs of the local community and foster community engagement. The Grassroots Leadership Development Program promotes and facilitates constructive dialogue and interaction between Hispanic citizens and public officials who are responsible for administering their local city, county, and school governments. Hispanic citizens gain a better understanding about how local governments function and how they as citizens can play a more effective role in influencing and formulating public policy. Public officials gain a better understanding of the Hispanic community’s needs and concerns and a greater appreciation for our interest in government and public affairs. The program trains Hispanic community leaders on a broad range of public policy issues for public service as elected and appointed officials and/or more effective leadership roles. The Collegiate Leadership Development Program is designed to promote and facilitate constructive dialogue and interaction between Latino students and key university officials. Latino students will gain a better understanding of the university’s organizational structure and how students can play a more effective role in influencing and formulating university policy. Simultaneously, students will help university officials, including administrators, faculty, and staff, gain a better understanding of the needs and concerns of Latino students, and a greater appreciation for Latino interest in campus life and university affairs. The program consists of seven weekly seminars, two weeks each on administrations, operations, and academics, as well as one session on financial literacy and budget management. Participants must choose an advisor for the program. The advisor must be a university administrator, faculty, or staff member. The role of the advisor is to help organize and coordinate the program. The Latino Leadership Institute seeks to develop the leadership capacity of a cadre of bi-lingual adults who are committed to serving the Latino community. The program sessions include establishing a shared understanding of existing leadership, diocesan model, administration vs. leadership; and leadership principals, leadership practice, and praxis; and advocating for issues affecting the local Latino community. The Executive Leadership Program targets mid-career professional Latinas and advances a model that emphasizes and builds upon personal strengths. The program addresses skill development and provides training and support through both a female and a Hispanic cultural lens. The training curriculum consists of four one-week sessions, each implemented in a different city, which develops participants' skills in cross-cultural communication, strategic management, public policy, and leadership building. The mentorship component commits participants to mentoring a minimum of two Latinas during the program year. Participants design and complete an individual leadership project that significantly impacts the community, is implemented during the program year, and is completed prior to the graduation date. The Colegio Community Economic Development Fellowship Program (NALCAB Colegio) was developed to ensure that next generation Latino leaders build the practical, personal and professional skills needed to fill the increasing leadership gap in the community economic development field. The curriculum is specifically designed to help practitioners become more effective leaders through leadership development, technical training, and facilitating peer networks. Session topics include: leadership: Latino leadership; understanding your leadership style; effective leadership through self-awareness; national context: “state of latinos;” Myers-Briggs Type Indicator (MBTI); public speaking; policy and advocacy; non-profit management; and program development and sustainability. Fellows also participate in site visits to local NALCAB member organizations and experience innovative programs and practices in asset building through specialized training and peer learning on financial capability, micro and small business development, and equitable neighborhood development. Fellows also complete a Community Development Leadership Project addressing an organizational need or challenge. The Latina Leadership Program facilitates women's leadership development and community activism. The program helps women obtain tools to become leaders who can create positive change in the communities. The 20-week program empowers participants to recognize their strengths and build their leadership abilities, assertiveness, and self-perceived skills as an agent of change. Discussions center around cultural factors that may represent challenges to personal development and how the political, social, governmental, and court system works. Participants learn about how to conduct meetings, lead group discussions, manage group dynamics, and give and receive criticism. Participants are given the opportunity to visit their legislators in Springfield and Chicago to advocate for the issues affecting their communities. The Latino Nonprofit Leadership Program is a reflective, practical leadership development course designed especially for bilingual (English/Spanish) Latinos and non-Latinos involved with Latino-serving nonprofit organizations in southeastern Wisconsin, either as employees or volunteers. The LULAC Youth Leadership Program provides at-risk Hispanic youth with a positive alternative to gangs, violence, and dropping out of school. It creates a nurturing peer supported environment for Hispanics of middle school and high school age and encourages them to stay in school and develop their leadership skills. Participants meet on a weekly basis to discuss issues affecting their lives and to meet role models from their community. Speakers present issues of concern to Hispanics and the participants discuss possible solutions to these issues. The program coordinator conducts activities and implements the leadership training curricula and skills development exercises. Midway through the program, participants select a leadership project that addresses a particular issue in their community. Adult mentors from various professions guide the students in their project. During the last stage of the program the students conduct a leadership conference for a peer audience of 500 students. The Federal Training Institute in partnership with the Office of Personnel Management, and other Federal agencies offers a leadership development curriculum that includes situational leadership, emotional intelligence, understanding generations, diversity recruitment strategies, conflict management, and strategies for success. Each year, the Institute builds upon the success of its past curriculum by offering courses that meet federal agency training requirements and directly address each of the five Senior Executive Service Core Qualifications and or new initiatives within the government that may impact the employee development and the community it serves. The Latino Leadership Initiative aims to empower Latino college students to be civically engaged and active participants in service-learning projects. The Initiative exposes participants to educational and career options, instills theory and application of multicultural leadership skills, and increases Latino identity consciousness and cultural competencies. Participants attend 7 on-campus sessions, 7 group sessions, and 2 special off-campus events. To graduate, participants must complete and present a group community project with a minimum of 40 hours, and complete an essay inspired by the program topics and their experiences in the program. After graduating from the program, participants receive train-the-trainer sessions in Financial Literacy. The Funders' Collaborative for Strong Latino Communities was created to address key issues of sustainability, growth and long-term development faced by Latino nonprofit organizations, while also cultivating the next generation of Latino leaders. Capacity-building grants have been made to Latino nonprofit organizations to support projects such as the enhancement of their resource development capabilities, development of their board and staff leadership, and improvement of their governance structures.Through the Funders' Collaborative, Hispanics in Philanthropy has provided capacity-building grants and training to more than 500 Latino-led, Latino-serving nonprofits in 16 sites in the U.S. and three in Latin America. The Young Hispanic Corporate Achievers program was developed as a way to recognize the outstanding achievements of young Hispanic professionals in Corporate America and further the organization’s vision to increase the number of Hispanics on corporate boards. The goal of the HACR Corporate Directors Summit is to increase Hispanic representation at Fortune 500 companies. Summit participants exchange views on Hispanic inclusion and explore the challenges and solutions to increase the number of Hispanics on corporate boards. Participants discuss the development of effective diversity strategies among Fortune 500 and HACR corporate member companies for executive leadership and corporate governance. The Corporate Achievers Summit provides former HACR Young Hispanic Corporate Achievers the opportunity to network with previous classes and take part in dynamic discussions centered on leadership development. The program provides a support network for these executives through leadership development and educational training sessions, the case study method of learning, and hearing from C-Suite executives who have made it to the top. HACE’s University Leadership Academy provides students with personal and career development through access to HACE’s young professional network, career coaches, speakers and corporate partners. HACE’s program empowers students to not only continue their education and complete their Bachelor’s degree, but also provides an array of mentors and support for them to succeed after graduation. The program sessions include personal branding, emotional intelligence, interviewing skills, networking and negotiations. Participants have access to one-on-one career coaching sessions, individualized assessments, internship opportunities, and a mentor. Mujeres de HACE is a women’s leadership program geared to empower high-potential Latina professionals to succeed professionally and thrive personally by providing insight, access, and professional development in an effective manner: individualized, culturally relevant and via collaborative, mentoring, and powerful relationships that continue beyond completion of the program. In addition to a welcome/orientation session and graduation, program topics include Discovering Leadership Style and Strategic Planning; Developing Your Personal Brand; Building Effective Partnerships and Networks; Utilizing Financial Planning Tips and Tools; Achieving Optimal Work – Life Balance, Practicing Negotiation and Influence; Delivery and Execution. HACER is a nonprofit, community-based research organization that originated in 1988 as a collaborative effort between Ramsey County Human Services, Comunidades Latinas Unidas En Servicio (CLUES), and Metropolitan State University to address the lack of information about Latinos and Latino issues in Minnesota’s public discourse. HACER’s mission is to provide the Minnesota Latino community the ability to create and control information about itself in order to affect institutional decisions and public policy. HACER engages in partnerships with community members and advocates to inform policy around immigration, education, public health, housing, criminal justice and crime prevention, social welfare, employment and income disparities, public safety, community development, migrant work, and demographic change. HACER also facilitates cooperation among agencies that serve the Latino community, and evaluates government and nonprofit programs that target Latinos in the state. The HOPE Leadership Institute is specifically designed for professional Latinas in California. The Institute trains Latinas in vital leadership and advocacy skills, enabling them to create fundamental change within their local neighborhoods across California. Training sessions include academic seminars, personal assessments, group work, group presentations, lobbying and advocacy, field trips, networking receptions, and conference attendance. Enlace Chicago’s Leadership Academy is a two-day training that covers topics relating to organizing, leadership, and advocacy. All sections are set within the context of Enlace’s work in Little Village. The Academy serves to unify visions and notions of an advocacy identity, the meaning of being a leader, and the importance of community organizing. The curriculum challenges participants to consider their role as change agents and to analyze power dynamics within their community. Participants learn about Enlace’s organizing principles, how to turn a problem into an issue, and how to build campaigns from issues. Participants also learn about current Enlace campaigns and how they can get involved. The Executive Mentoring and Leadership program transform professionals into innovative executives by developing current and emerging thinking about Latino Leadership. Participants attend 10 workshops on core leadership themes and values, one-on-one executive mentoring, and monthly 3-hour seminars. Participants engage in honest dialogue about the impact of mainstream cultural norms and values and those of Latino professional whose roots go beyond boundaries of more traditional business norms and behavior. Workshop topics include: core leadership, values, mentorship, Latino demographics, emotional intelligence, creating your brand, strategic networking, micro messages, work/life balance, and 21st century leadership. Leadership programs offer by Casa Latina provide a supportive environment for newly arrived immigrants to develop leadership skills. Casa Latina’s programs are democratically run by the members, providing leadership opportunities at all levels of the organization, and ensuring that those most impacted by the programs and mission have a voice in the policies and day-to-day operations of the program. This strong leadership development component creates a sense of ownership and pride among participants. Casa Latina's members take the lead in determining program rules and procedures and review and refine these procedures weekly in the General Assembly of the workers. This participatory model not only empowers and supports members; it also creates a strong social support network and promotes philanthropy. The Center for Hispanic Leadership Academy provides original professional development content, design, framework, curriculum and learning engagement tools to help corporations become a leading “academy company” with competitive advantage in the recruitment, development and leadership advancement of top Hispanic talent. Programs include thought-leadership, professional development, and content licensing. The GIL Program aims to develop knowledgeable, skilled, committed, and action-oriented leaders through education, connection, inspiration, and community involvement. These four areas of focus provide participants the opportunity to gain a better understanding of themselves and their role as community leaders while enhancing their existing leadership skills. The program curriculum includes nine core modules: Understanding Leadership, Communicating Effectively, Making Group Decisions, Building Communities Through Collaboration, Valuing Community Diversity, Group Dynamics, Conducting Successful Meetings, Managing Conflict, and Local Government Supplementary Workshops and Speakers. Sessions are facilitated using the curriculum from the J.W. Fanning Institute for Leadership at the University of Georgia. As part of the program, participants are required to complete a group community project that provides a benefit for the community. The Academy develops diverse leaders who envision, initiate and share breakthrough approaches to addressing society's most challenging social issues. Curriculum includes self-development, organizational capacity building, and peer-to-peer networking. Collaboration strategies with other communities of color and other non-profit, state sectors are developed. Latino Network’s Unid@s leadership development program aims to create a strong, connected, intergenerational network of established Latino leaders from all sectors and regions of Oregon. Through a unified statewide voice and presence in all levels of leadership, Unid@s advances the well-being of all Latinos. Sessions address: internalized oppression and racism, intercultural and intergenerational communication, conflict resolution, community building, shared leadership, political acumen and the ability to influence civic institutions. 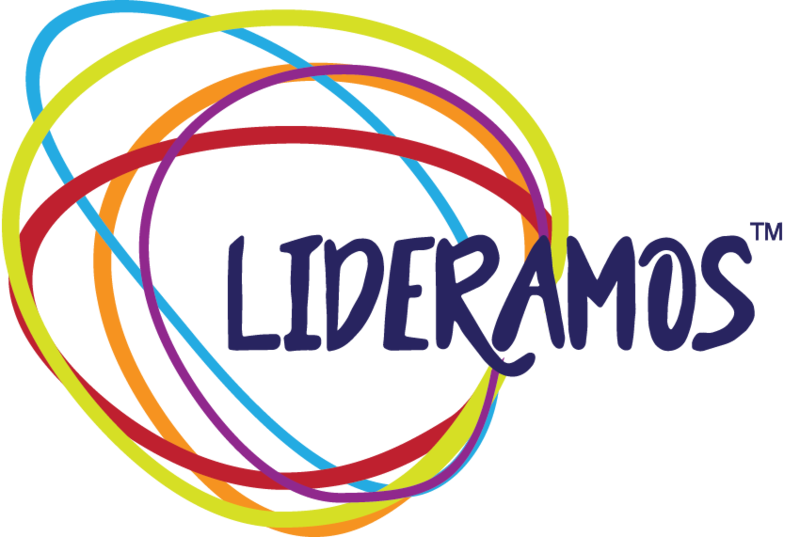 Academia de Líderes (Leaders Academy) works with Portland’s emerging Latino leaders to build leadership skills, organizing capabilities, and capacity to engage in city governance. As part of the Portland Office of Neighborhood Involvement Diversity and Civic Leadership Program, the Academy aims to increase equity in community involvement by engaging Latinos in the governance of the City. Academia de Líderes introduces participants to Portland, Multnomah County, and Metro government structures, officials and decision-making processes. Session topics include: systems of oppression; gender justice; leadership skills; conflict resolution; economic, environmental, and social sustainability; civic engagement; and community organizing techniques such as volunteer recruitment, base building, meeting planning, turnout and facilitation. The Leadership Academy is an educational and leadership training program aimed at providing promising leaders with a set of knowledge, skills, experiences, and networks necessary to assume and succeed in positions of impact with a focus on policy-making roles and elected office. Academy fellows engage in quarterly trainings and have opportunities to network with leaders in sectors such as municipal, state, and federal government, business, education, media, politics, and many others. Participants partake in a community initiative focused on community improvement and development. Students will also have access to current research and policy ideas via the Latino CLD-Southern Methodist University Tower Center Policy Institute. The Professional Development and Leadership Institute provides Hispanic women with opportunities to explore personal and career goals through various sessions focused Latina entrepreneurship and civic engagement. Professional development sessions highlight interview skills, networking, work-life balance, and career-building strategies. Civic engagement sessions discuss civic knowledge, community activism, and representation. The New Leadership Academy Fellows Program changes the expectations that surround leaders and leadership development across higher education. The program curriculum focuses on understanding leadership and contemporary issues in higher education by emphasizing philanthropic, corporate, and global partnerships; leadership for diversity, equity, and inclusion; reconciliation of legislative governance and public accountability; fiscal responsibility; innovation and transformational change; and mediating and fostering collaborative relationships. The mission of the Latino Leadership Development Program is to identify, train and promote the placement of Latinos in policy-making positions of community organizations in order to sure these organizations are tapping the full potential of the Latino community. United Way's Latino Leadership Development Program is a program that - for more than 30 years - has been giving Rochester Latinos the opportunity to enhance their professional and personal skills as business and community leaders. The Engaged Latina Leadership Activist Program is a six-month leadership program and civic engagement skills through a series of professional activities, resources, and mentoring. The goal of the program is to develop future leaders that can tackle the pressing issues impacting Latinas, while supporting the Latina movement to influence and empower Latina women of Silicon Valley. The program consist of an intensive 3-day working retreat, HOPE's annual public policies and advocacy conference in Sacramento (Latina Action Day), a series of civic engagement trainings and workshops to complete a video advocacy group project focusing on topics affecting Latinas, a networking event, and a graduation ceremony. The Hispanic Alliance Leadership Development Initiative provides professionals and emerging leaders training, professional development, networking, and community engagement opportunities that contribute to the advancement of the Hispanic Community. Through workshops, readings, and critical discussions, participants increase their cultural competency, leadership skills, and community awareness. The program focuses on training, mentoring, and community projects with specific topics including: team building/group dynamics; board roles and obligations; leading others; innovation; self-management; social responsibility; and leadership and task management. The mission of the Latino Leadership Alliance of Bucks County is to provide culturally sensitive and bilingual services to the Latino community in Bucks County. Services include the development and implementation of programs that address those preventative health, education, and social issues identified by our Latino residents as critical to their future and the future of their children. All activities promote responsible social behaviors, educational success, and self-determination. Members of Mujeres Unidas y Activas are invited to attend the Leadership and Unity for Community Power training to further develop leadership skills and identify new areas for growth. The program assist women in becoming community organizers, meeting/workshop facilitators, and grassroots fundraisers. More experienced members become certified Domestic Violence Advocates, Sexual Assault Crisis Counselors, volunteers at local shelters, or employed as community organizers. The Latina Leadership Initiative of Greater Des Moines is the only leadership development program in Iowa focused on Latinas. It fills a gap in the lack of culturally appropriate leadership training for promising Latina women. The program's curriculum infuses traditional leadership development training with three areas of focus: gender, culture, local impact. The curriculum addresses empowerment; teamwork and community building; culture, language, and social changes; public speaking; career development and advancement; Latino history and migration patterns in Iowa; networking; health issues affecting the Latina community; how to run meetings, plan projects and prepare budgets, and many other topics. The program promotes heightened awareness of social responsibility and attention to the needs of the local Hispanic community. The Latina Leadership Institute seeks to train Latinas in essential leadership and advocacy skills empowering them to create fundamental change with their local neighborhoods throughout Kern County. Through personal assessments, lectures, group work, field trips, lobbying, advocacy, and networking, the Institute empowers Latinas with tools to influence key issues affecting their community. This grassroots, women's empowerment program builds self-esteem and community engagement by facilitating sessions on organizational sustainability, family safety, leadership development, and informal mentoring. The Great Lakes Bay Hispanic Leadership Institute participants, or Ambassadors, meet monthly to focus on identifying strengths and talents, community service, networking, team management, collaboration, career and educational planning. The program topics contribute to the “best practices” in leadership development by exposing Ambassadors to different professionals and corporations. Participant must dedicate a minimum of 20 hours to building of the annual Cinco de Mayo Institute float, walk in the parade and work or participate in fundraising events held at the Cinco de Mayo event. Participant must also complete 50 hours of community service prior to graduation from the program and must attend a minimum of four Great Lakes Bay Hispanic Business Association meetings. PARE is an innovative program of El Pueblo, Inc. designed to provide information to Latina survivors of domestic violence and sexual assault about assistance, resources, and education. The goal is to empower Latinas so that they can take action and advocate for better services and policies that promote violence-free societies. PARE created the “Grupo de Fortalecimiento” (Strengthening Group) through which its members are educated and trained by experts in the field of domestic violence and sexual assault in the course of 12 sessions. Latina members of this group, can continue their healing process, develop self-esteem and self-sufficiency, and promote healthy families and communities. Survivors and Latinas interested on this field can be powerful agents of change in our community. By establishing empowerment groups, PARA forms leaders who will take charge of the movement and use their voices and personal experiences to improve the community-level response and service provision for Latin@s survivors of abuse. The Southwest Pa’lante Youth Rising Leadership program provides youth the opportunity to learn to critically examine their community and advocate for issues on larger community agendas. Parents are trained as education advocates and organizers through lectures on leadership positions in community. Participants develop skills to analyze and affect policy-making processes. CHW’s Neighborhood Leadership programs train residents and emerging neighborhood leaders in advocacy, organizational decision-making and community mobilization. The program helps community leaders set vision/mission/goals, create action plan, diffuse disagreements, and effectively address communication across diversity. The Veterans Leadership Academy selects 10 veterans to become "Team Ten" Fellows. As Team Ten, participants receive life skills including: leadership development, team building, fundraising, grant writing, budget preparation, conflict negotiation, advocacy and gain confidence with public speaking and public policy knowledge on California veteran issues, specifically the MAMC El Soldado project. The Latina Leadership Institute builds skills, knowledge and confidence to succeed in running for elected office; applying for position on public and corporate boards and commissions; applying for White House appointments; and leadership roles within political campaign management. The Alexander Breseno Leadership Development program enriches leadership and professional development through strategic planing, change management, teamwork, sustainability and civic engagement. The Latino Leadership of Oklahoma City program increases participant’s capacity for, commitment to, and involvement in community activities in central Oklahoma. Class sessions include an interactive mix of activities designed to teach community leadership skills through exposure to local examples, presentation of techniques and processes, and practice in the skill. Program topics include public speaking, board and community service, non-profit services, government and media, education, and event management. The Hispanic Austin Leadership program provides business leaders and professional the opportunity to develop business acumen, civic awareness, leadership skills and a network of colleagues for life. Program topics include: past, present, and future of Central Texas, civic engagement, the state of education in the Austin and Central Texas area, environmental sustainability, financial stability, healthcare, and arts and culture.